Here is an appropriate fall recipe. Good for those cool nights with the family or fantastic for leftover meals through the week! 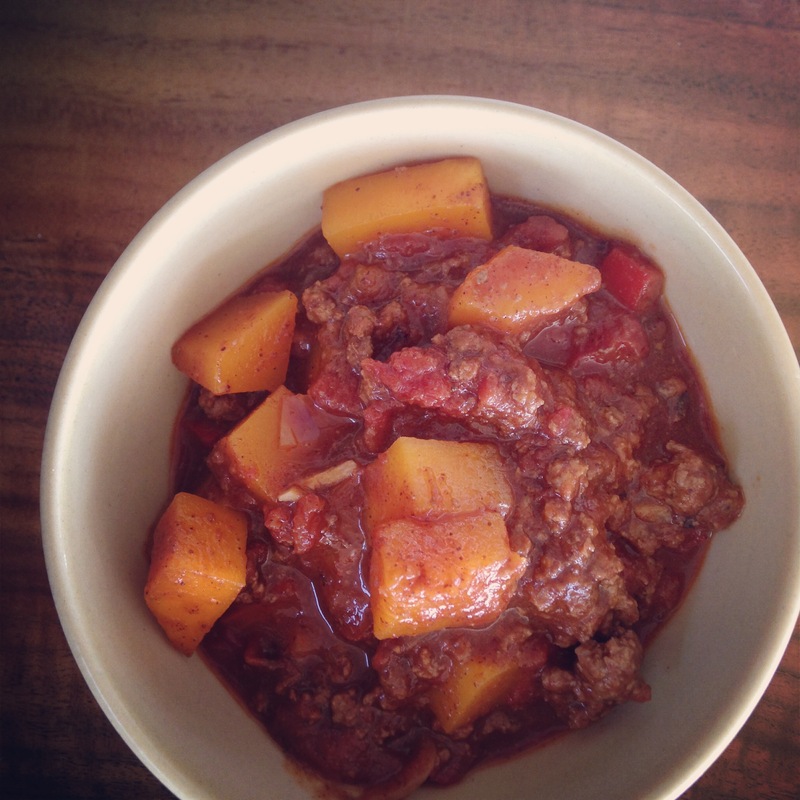 The butternut squash gives this chili the spirit of starchy comfort food while still being a relatively low-carb meal. Alternative ways to enjoy this hearty stew include adding some paleo biscuits (here or here) or over some grilled grass-fed hot dogs! Brown bison in a large pot over medium heat. Add onion, red bell pepper, garlic, and butternut. Stir well until fragrant. Add some salt and pepper to season. Stir. Add tomatoes, chili powder, and cinnamon. Turn down heat and simmer until butternut squash is cooked through. Add red pepper flakes to taste or as a garnish when serving.